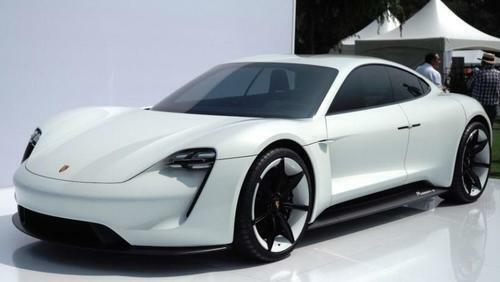 The Porsche Taycan is widely considered to be the "mainstream" luxury automobile market's most potent threat to the Tesla Model S. The specs for the vehicle look to be extremely impressive, not just from an EV standpoint, but from any type of "street legal" standpoint. It is said to accelerate from 0 to 62 mph in 3.5 seconds and it’ll have a top speed of over 155 mph. Its range will come in at 310 miles and it will be chargeable up to 250 miles in just over 20 minutes at a Porsche high-voltage supercharger. Oh, and it also happens to look rather impressive. We followed up that report by noting that Porsche was one of several brands to nail down a 3 minute charge (alongside BMW) a task that has still eluded Tesla. Porsche recently unveiled a charging station that can give electric vehicles enough power to drive about 62 miles on less than three minutes' charge, putting it ahead of Tesla. The prototype charger is said to have a capacity of 450 kW, which is more than triple Tesla's Superchargers. Vehicles that were tested at this power were brought to 80% capacity in 15 minutes. According to Tesla's website, it needs about 30 minutes for a similar charge. Look out Elon, the big boys appear to have officially made their way into your sandbox.